Jamaica National Faith Leaders ConsultationFaith Leaders to establish main goals for Inter-Religious Faith Leaders Network in Jamaica with emphasis on contributing toward the end of AIDS. 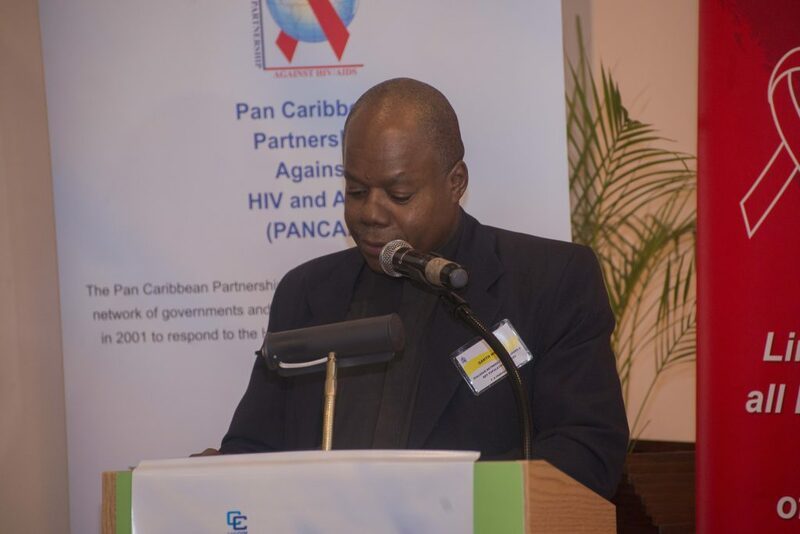 Tuesday, 27 November 2018 (PANCAP Coordinating Unit, CARICOM Secretariat): The Pan-Caribbean Partnership against HIV and AIDS (PANCAP), with funding from the CARIFORUM 10th European Development Fund (EDF) Programme of Support for Wider Caribbean Cooperation will host the Jamaica National Faith Leaders Consultation at Cardiff Hotel and Spa, Runaway Bay, Jamaica on 28 and 29 November 2018. The Consultation forms part of a series of engagements with faith leaders in Jamaica under the PANCAP Justice for All programme. It will facilitate the development of an action plan for advancing faith leaders’ implementation of key elements of the Justice for All programme. Participants will include faith leaders representing national faith leaders’ networks across Jamaica. The main purpose of the consultation is the establishment of the main goals for an inter-religious faith leaders network in Jamaica with emphasis on contributing toward the end of AIDS. Faith leaders will be engaged in identifying the lessons learned for ending AIDS from faith leaders’ engagements with People living with HIV and with other groups such as parliamentarians, youth leaders, civil society and members of church communities. Participants will discuss the challenges for developing a viable Faith Leaders Network and proposals for overcoming them. Faith leaders will also identify specific recommendations to achieve the goals of the inter-religious/faith leaders network as well as priorities and timelines for achieving the goals of the Network. The Member States of the European Union have decided to link together their know-how, resources, and destinies. Together, they have built a zone of stability, democracy, and sustainable development whilst maintaining cultural diversity, tolerance, and individual freedoms. The European Union is committed to sharing its achievements and its values with countries and peoples beyond its borders’.